The Masonic Temple located on West Main Street in Kent, Ohio has been home to the Rockton Lodge #316 since 1923. However, it was built much earlier than that. 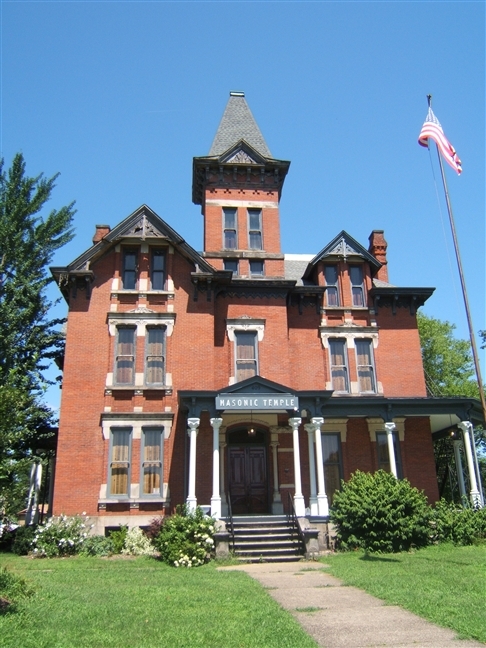 The ornate brick building was originally built by Marvin S. Kent and the first brick was laid on June 7, 1880. The majority of construction would be completed four years later, and in 1884, the Kent family moved into their new homestead. 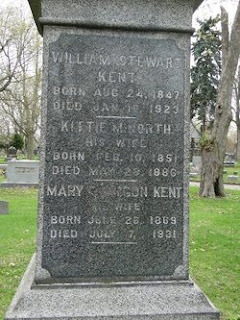 Marvin's son, William S. Kent, would eventually go on to marry Kittie M. North. Unfortunately, Kittie would meet a terrible end in the lovely home. On May 19, 1886, the 35 year old Kittie was seriously burned when a kerosene heater being used to warm the third floor ballroom exploded while she was attending to the stove. Her wounds would prove to be fatal and Kittie would pass away the next day. After her death, the third floor ballroom was completely shut off from any and all social functions and boarded up. 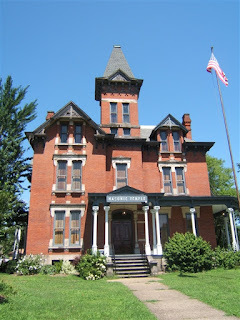 Since that time, members and visitors of the lodge have seen the apparition of a woman in an old-fashioned white dress in various locations throughout the former mansion. The apparition, believed to be Kittie Kent, is also said to be responsible for making noises in the empty ballroom area near where she died and for leaving scratch marks on the floor and walls.